Delanie Walker is not a name to disregard in the National Football League (NFL). The veteran player joined the league when he was drafted by the San Francisco 49ers in 2006. He plays as a tight end for the Tennesse Titans. Walker was notable in football in his high school days and has maintained his good records till date. There is so much more to know about the American football tight end apart from his professional career. Here are lesser known facts about Delanie Walker. He was born on August 12, 1984, in Pomona, California. Walker was always inclined to sports but had a flair for the game of football. He is an alumnus of Pomona High School. At the school, the tight end drew a lot of attention and recognition to himself through his skills. Walker earned numerous titles including a two-time selection as Miramonte League Offensive Player of the Year. He was also a popular figure in track and field back in high school. Delanie won the Division III 100-meters and also won the 2002 Miramonte League Meet. After his high school career, he proceeded to Mt. San Antonio College in Walnut, California. In his junior year with the school’s team, Walker recorded 86 catches for 1,312 yards and scored 13 touchdowns. He made it to number 7 on the Top 101 Players’ list by JCFootball.com. After his junior year at Mt. 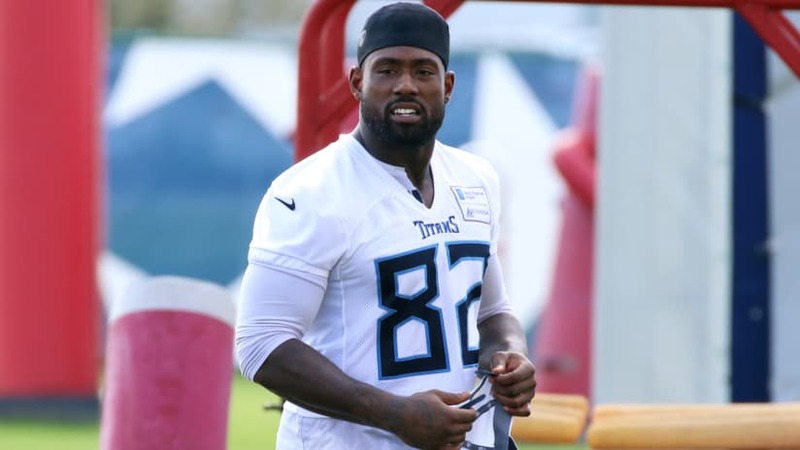 San Antonio, Delanie Walker transferred to the University of Central Missouri. For the rest of his two seasons in the school, he recorded 113 passes for 1,347 yards and 10 touchdowns. After his college career, Delanie Walker declared readiness to participate in the 2006 draft. He proceeded to the Scouting Combine and participated in the drills. The player scored 4.5 in the 40-yard dash and scored 2.67 in the 20-yard dash. For the 10-Yard Dash, he scored 1.61 and also did the cone drill. The vert jump saw Walker finish at 36.5in. After he participated in the NFL Combine, Walker was selected by the San Francisco 49ers in the sixth round (175th overall) of the 2006 NFL Draft, and subsequently, signed a contract with the team. He recorded 2 interceptions for 30 yards in the 2006 season. In the 2007 season which followed Walker’s rookie season, he made a record of 21 interceptions for 174 yards and also recorded a touchdown. The wide receiver became richer in 2008 after he signed a three-year contract extension with the team worth $6 million. In the 2011 season, Walker was nicknamed the ‘Swiss Army Knife’ by his teammates after he became of huge significance in the West Coast Offense during games. That year, he recorded three touchdowns and 19 receptions for 196 yards. Walker’s time with the 49ers came to an end after the 2012 season where he recorded 3 receptions for 48 yards at the Super Bowl XLVII. His next move was to the Tennessee Titans in 2013. Walker signed a four-year $17.5 million contract with the team and finished that year’s season with 60 receptions for 571 yards and six touchdowns. He signed a two-year $14.7 million contract extension with the team in 2016 and the following season, he recorded 3 receiving touchdowns, one rushing touchdown ad 74 receptions for 807 yards. Walker signed another contract extension with the Titans in 2018. It was worth $17 million with $12.6 million in guarantees. The tight end, however, sustained an ankle injury in the 2018 season-opener against the Miami Dolphins. A diagnosis which revealed a dislocation in his ankle joint and a bone fracture caused him to miss the rest of the season. Although very little is known about his father, Delanie’s mother is known as Vicy Walker. The NFL tight end was raised in an extended family, by his mother and grandmother in Pomona. He is an older brother to Anthony Walker. Tragedy befell the Walkers in 2013 when Delanie’s aunt and uncle lost their lives in a motor accident. The fateful day was on February 3, 2013, the same day the tight end played in the Super Bowl XLVII. Delanie’s two relatives were returning from the tournament in New Orleans when a drunk driver rammed into them. The tragic incident was what motivated the NFL player to speak against drunk driving. Delanie Walker is not married to anyone but is said to be dating Racine Lewin, his longtime girlfriend. It is not clear if the couple is still together as their relationship has been hit with several challenges, mostly revolving around infidelity on Walker’s part. He has two kids; Delanie, Jr., and Erra Paris.